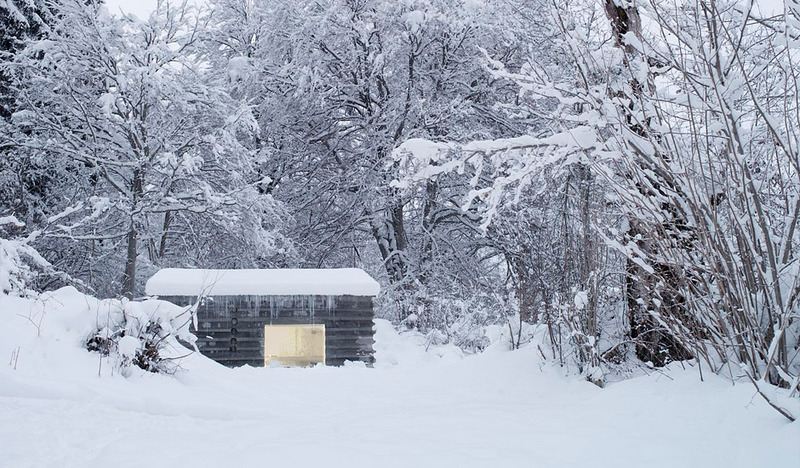 Refugi Lieptgas was built to replace a pre-existing log cabin, and occupies the same footprint that it once stood on. 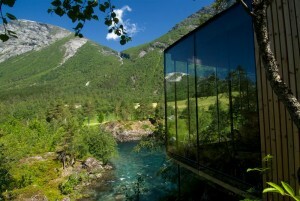 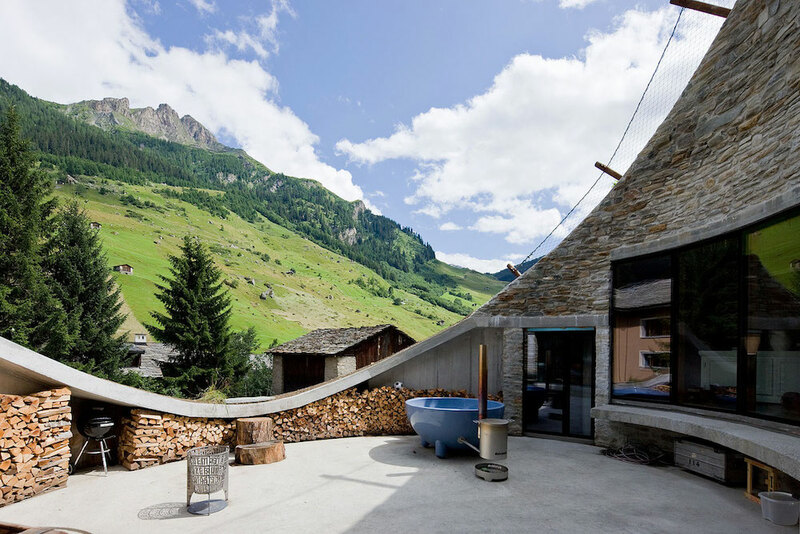 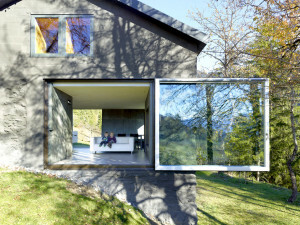 The Swiss Alps have famously stringent planning rules, and the permission stated that the ‘character of the persisting cabin’ was to be kept. 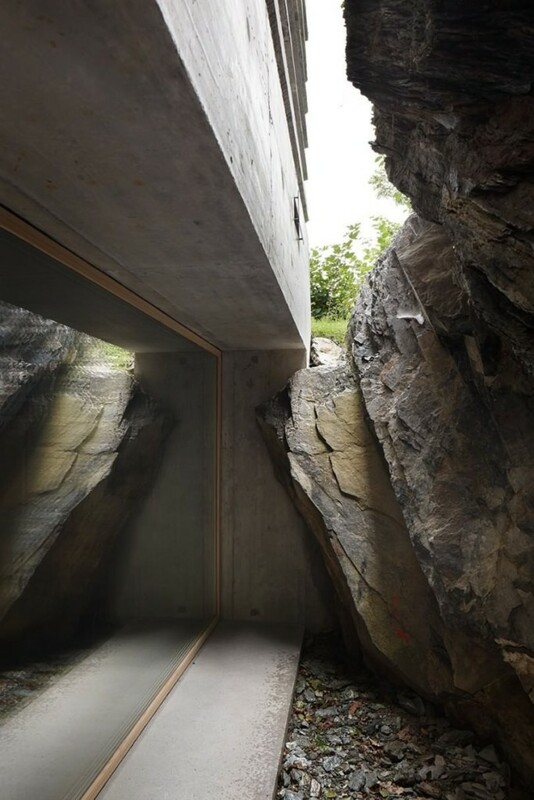 Personally I don’t agree that this was achieved, but the architects certainly took a creative, and humorously ironic, approach to the task which has to be admired. 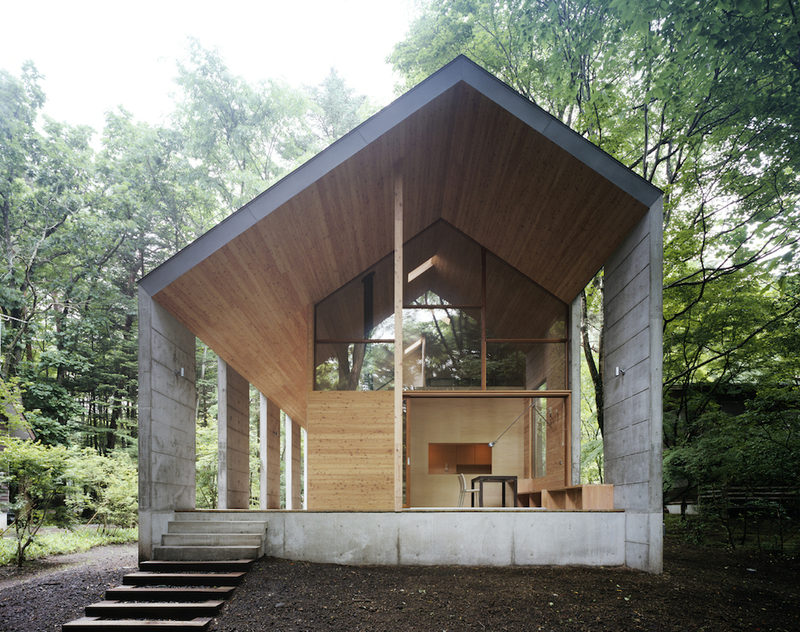 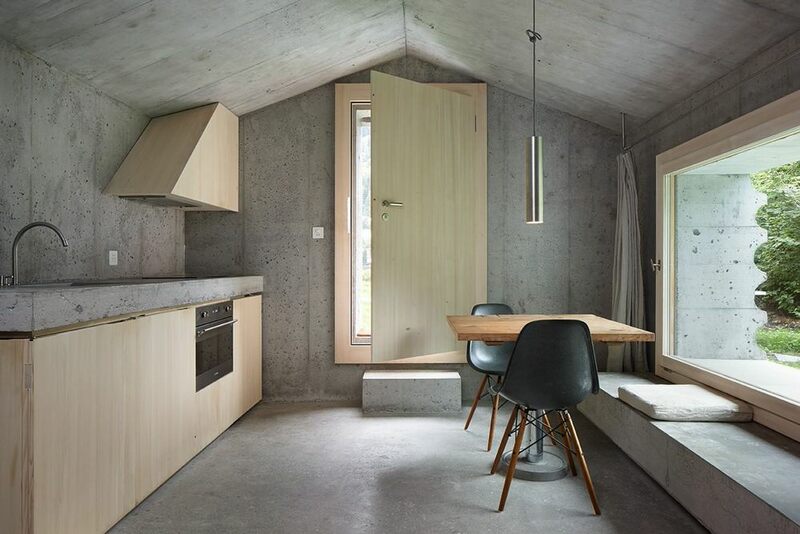 So to retain the character of the historic cabin, the distinctive exterior of this concrete house was cast with the previous structure’s timber walls as a mould. 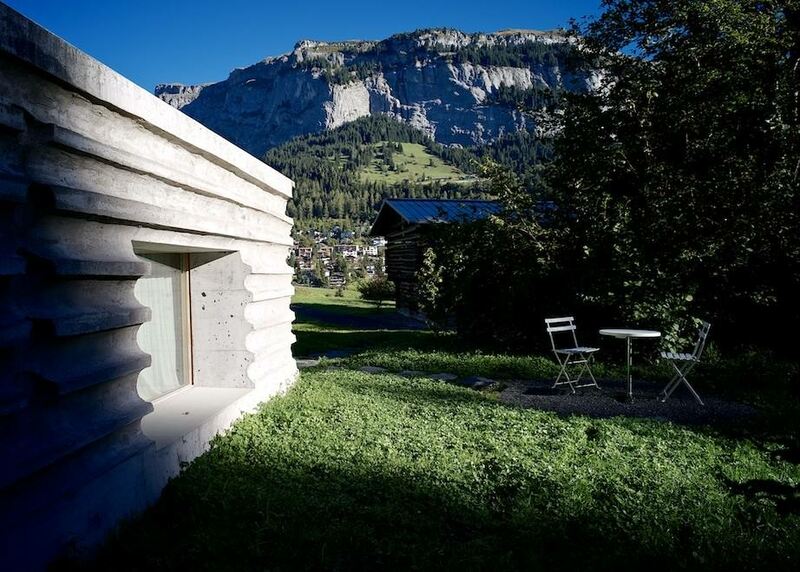 The negative profile of these traditional round logs creates the concave peaks and troughs of Refugi Lieptgas’ walls; in effect the new building is a fossil of the old cabin complete with all its natural imperfections. 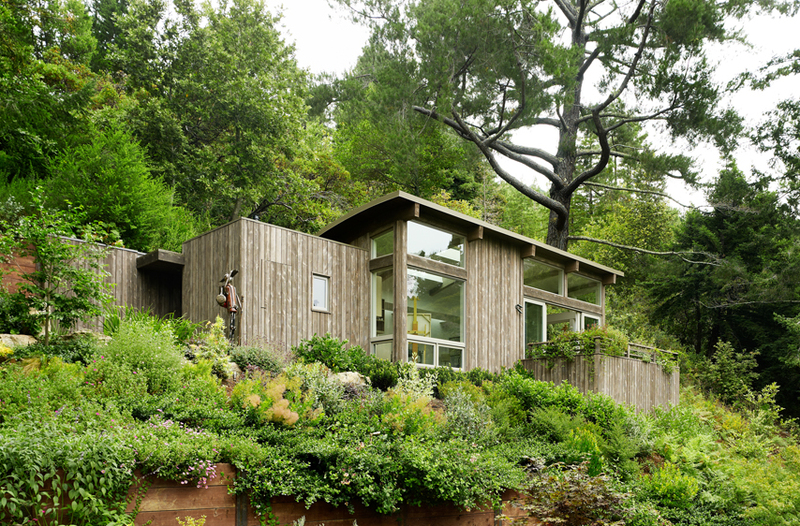 This structure might seem extremely small in stature, but what we see here is only the top portion of the dwelling that protrudes above the ground. 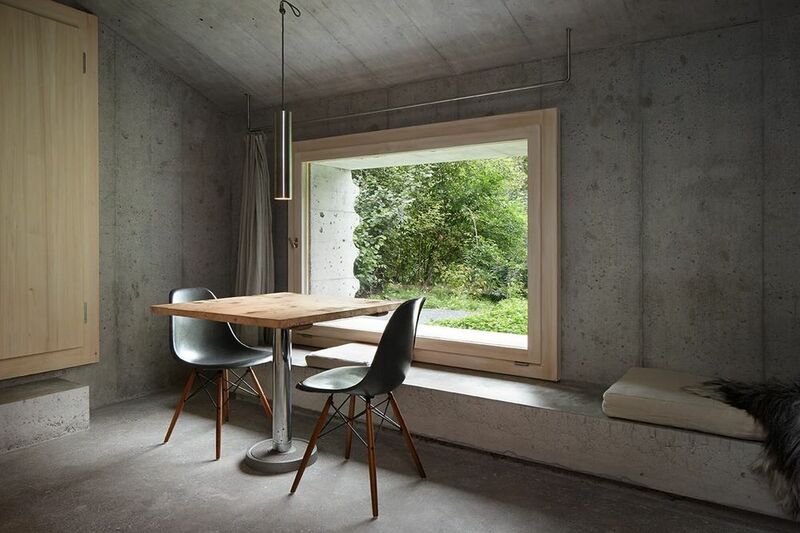 However Refugi Lieptgas is certainly compact by anyone’s standards with a floorplan of just 40m². 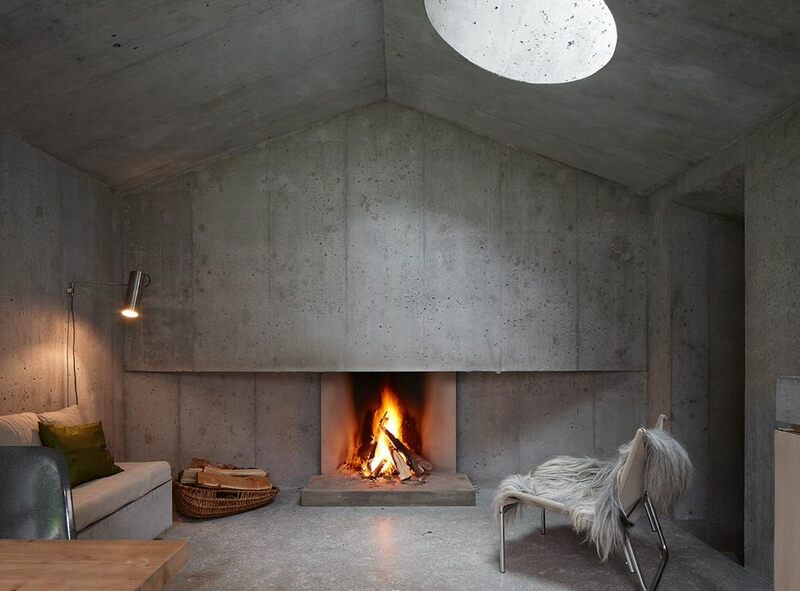 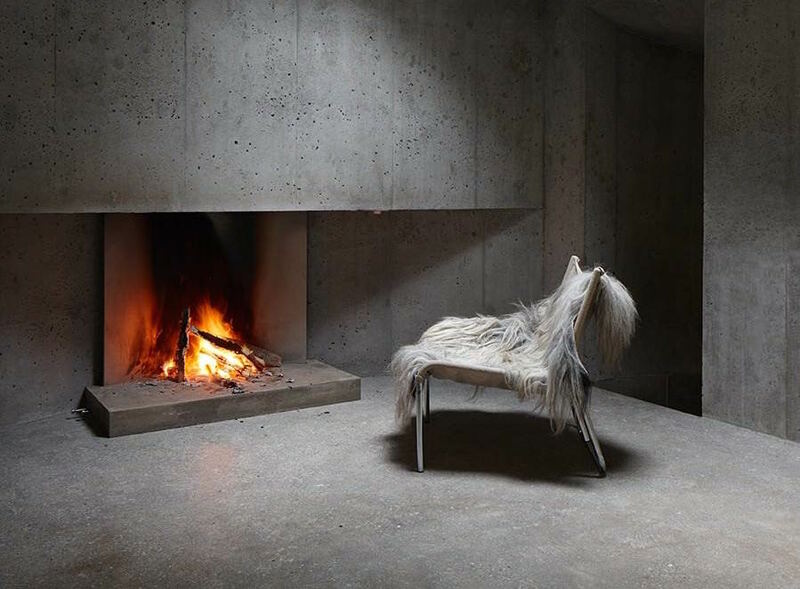 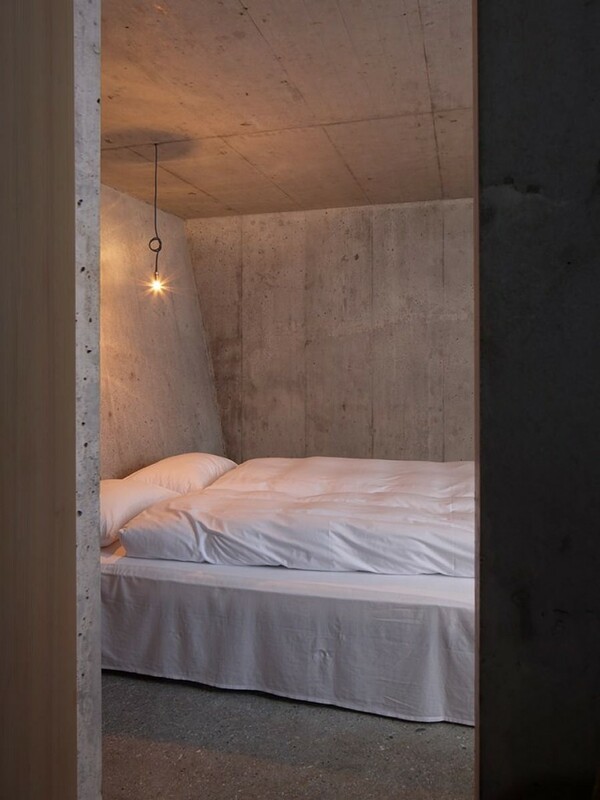 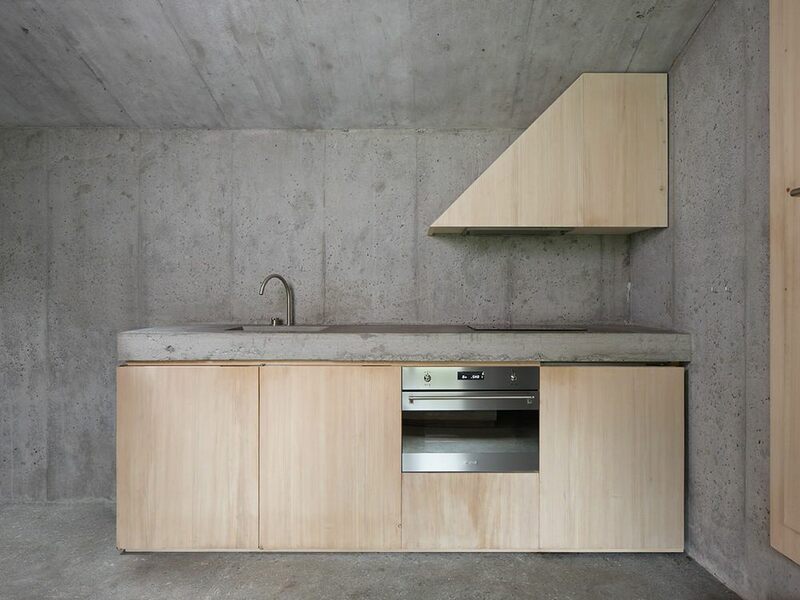 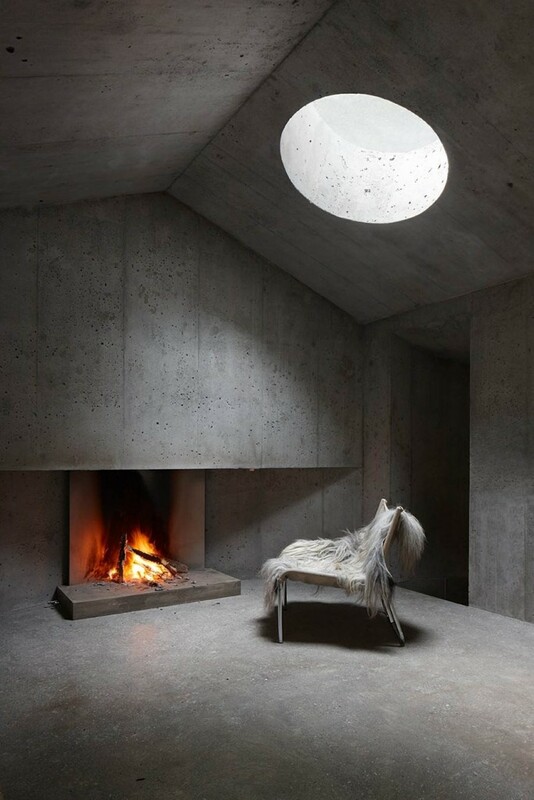 The exposed volume features the minimalist kitchen and living room, but a staircase — also in concrete — takes inhabitants down to a lower level with this unique bedroom — which you’ve no doubt seen before as an unsourced image on countless tumblr blogs. 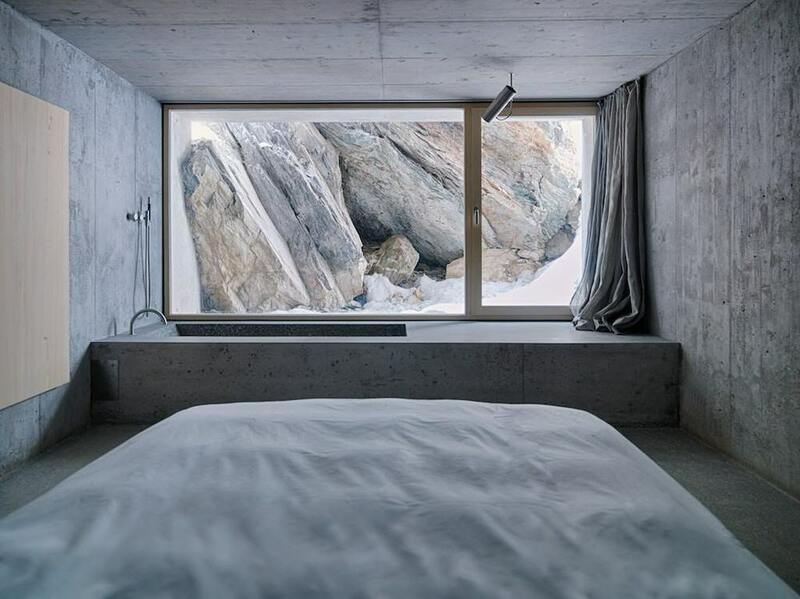 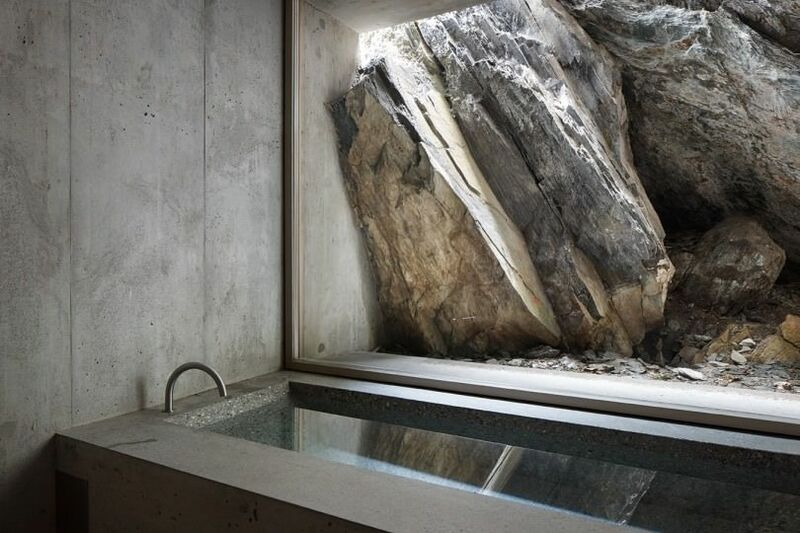 Refugi Lieptgas was built on a slope so this partially underground bedroom, and its built-in concrete bath, overlooks a jagged rocky surface; a small crevice between manmade and natural stone.